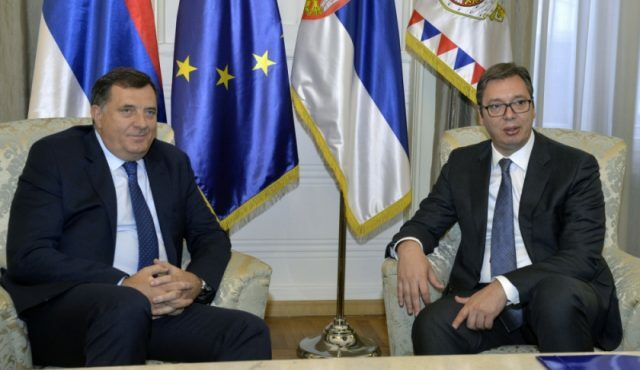 The draft of a joint declaration of the RS and Serbia on the survival of the Serb people is nearly completed, with come nuances remaining to be done. This was stated by the Dean of the Faculty of Law and a member of the team working on the text of the declaration, Sima Avramovic. “Although it will be informally called a declaration, which means a proclamation or something that is desired, the act that is being prepared will nevertheless have more of a legal than a political character,” Avramovic told. He added that it will also have an international basis, as it relies on the agreement on special ties between the Serb Republic (RS) – the Serb entity in Bosnia-Herzegovina – and Serbia, which is in line with the Dayton Accord. Avramovic recalled that the joint declaration will be presented on Statehood Day, February 15. RS President Milorad Dodik said earlier that the text of the joint declaration was agreed and that both parliaments would adopt it by the feast of Sretenje, that is, Serbia’s Statehood Day. “The formal document will be an annex to the Agreement on Special and Parallel Relations, because we want it to be adopted by the two parliaments and signed. That document has been completed. In mid February is Sretenje and Statehood Day of Serbia. Several days ahead, the parliaments will adopt the declaration , and it will be promoted on Sretenje. That is the definitive agreement,” Dodik said earlier. The newspaper noted that the declaration should encompass the right to use the Serbian language and the Cyrillic alphabet, the right to study and cultivate Serbian culture, the right to study Serbian history and nurture Serbian freedom-loving traditions, preserve national geography, preserve and protect Serbian cultural and historical heritage, and the right to information in the Serbian language. In addition to Avramovic, the team from Serbia that is drafting the text of the declaration includes the dean of the Faculty of Philology in Belgrade, Ljiljana Markovic, a professor at the Faculty of Law Mirko Vasiljevic, and the president of the Matica Srska institution Dragan Stanic, as well as linguists and linguistics experts.